Mohamed Elghawy is the founder and the artistic director of AFCA for Arts and Culture and Hakawy International Arts Festival for Children in Cairo, Egypt. Recently, he has also taken up the role of the artistic programmer for the International Stilte Festival in Breda in the Netherlands. Mohamed is a fellow of the International Society for the Performing Arts - ISPA. A Chevening Scholar, Mohamed studied cultural leadership with the Clore Leadership Programme in the UK and he previously studied Arts Management at the DeVos Institute of Arts Management in Washington DC, USA. Mohamed is an alumnus of the European Festivals Association (EFA) and a MENA ‘cultural innovator’ through the British Council. He also sits on the board of trustees of East-Cairo public schools. 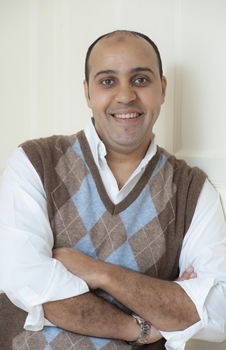 Born in Egypt, Mohamed’s background is as a theater director. His focus is on theater for children and young people and he is driven to ensure that the artwork for the younger audience must be of equal quality as that which is made for adults. His goal is to make high quality performing arts accessible to every child and believes strongly that it is their right to enjoy, discover, participate and live such experiences with their families, schools, NGOs or friends without discrimination for any reason. Mohamed, therefore, produces shows with professional artists for children and young people and tours them locally, nationally and internationally.